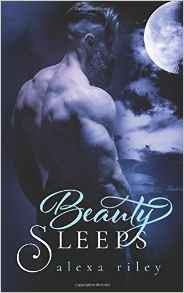 This is the second book in the "Fairytale Shifters" series by Alexa Riley. And if you haven't already, feel free to check out my review of the first in the series: Riding Red. Honestly, I was skeptical about continuing this series. The only reason I decided to even give this book a try was because I wanted to read more about Gwen & Xavier's relationship. They were my two favorite characters in the first book. I'm glad to report that I was very pleased with my decision. Not only did I learn more about my favorite characters (they're still my favorite!) but I sincerely enjoyed the book. It was a quick, yet satisfying, read. A great deal more pleasing than Riding Red.